A Milwaukee man who was in the car a Walworth County sheriff’s deputy shot into—killing a different passenger—in East Troy in 2016 pleaded guilty to a drug charge in Walworth County Court, records show. Roberto J. Juarez Nieves Jr., 29, pleaded guilty March 25 to conspiracy to deliver cocaine, according to online court records. Police used a confidential informant to set up a drug deal for about 14 grams of cocaine from Juarez Nieves on Feb. 24, 2016, according to the criminal complaint. After police responded to Roma’s Ristorante and Lounge, the car driven by Jose G. Lara, 33, also of Milwaukee, drove in the direction of then-deputy Juan Ortiz, according to court documents. Ortiz shot into the car, killing Christopher J. Davis, 21. Lara then drove away, eventually reaching speeds of 100 mph, according to the complaint. 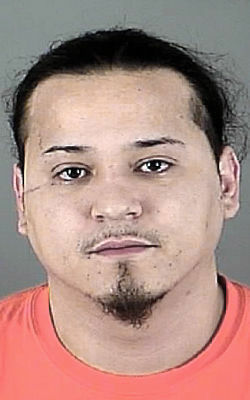 He and Juarez Nieves later stopped and fled on foot in Muskego, court documents show. 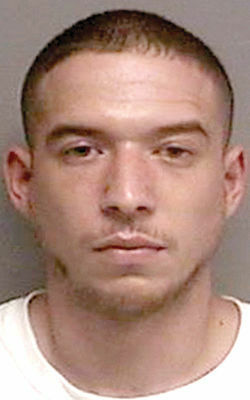 Lara pleaded guilty March 6 to drug and fleeing-an-officer charges. Two years after Ortiz shot Davis, District Attorney Zeke Wiedenfeld charged Lara with second-degree reckless homicide, although this charge was dismissed and read in with a plea agreement. Dan Necci, the county’s district attorney at the time of the shooting, said the shooting was justified. Ortiz later became a detective with the sheriff’s office. Doretha Lock, Davis’ mother, in November filed a lawsuit against Ortiz, other police officials and municipalities saying the use of deadly force was not justified. She alleges the drug bust was hastily organized and “deliberate indifference and negligence” preceded Davis’ death. The lawsuit also says some officers destroyed squad-car camera video from the incident. Juarez Nieves is scheduled for a sentencing hearing at 9:30 a.m. May 24. The mother of a man shot by a Walworth County sheriff’s deputy in 2016 is suing several police officials because “deliberate indifference and negligence” preceded her son’s death.